The fire hydrants in the City of Brecksville are the property of the Cleveland Division of Water. 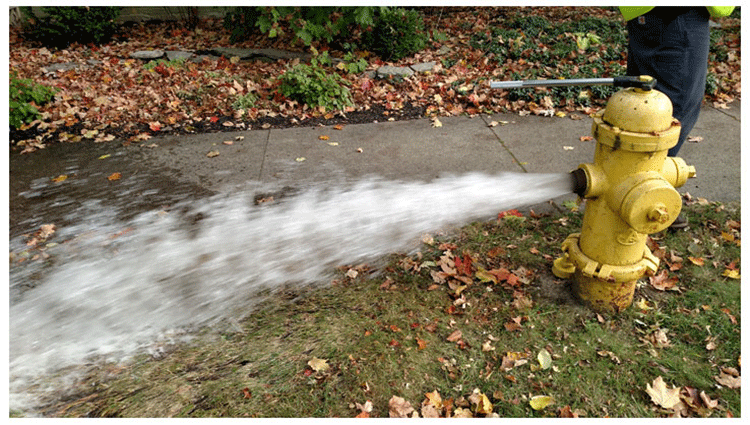 Brecksville is responsible for annual hydrant flushing, painting and general maintenance of the hydrants. The City utilizes a rotation-based spreadsheet to track the painting of all fire hydrants. In the event that a hydrant is in need of major repairs or replacement, Cleveland Water is responsible for it. If you find or see a problem with a fire hydrant please call the fire department at 440-526-2640 so that we can take the appropriate steps to have it repaired. Use of fire hydrants is only allowed by permits that are issued to contractors or residents by both Brecksville Fire and the City of Cleveland. Any non-authorized use of a fire hydrant is illegal and considered theft. A hydrant permit must be obtained prior to use and you can contact the Brecksville Fire Department for more information.